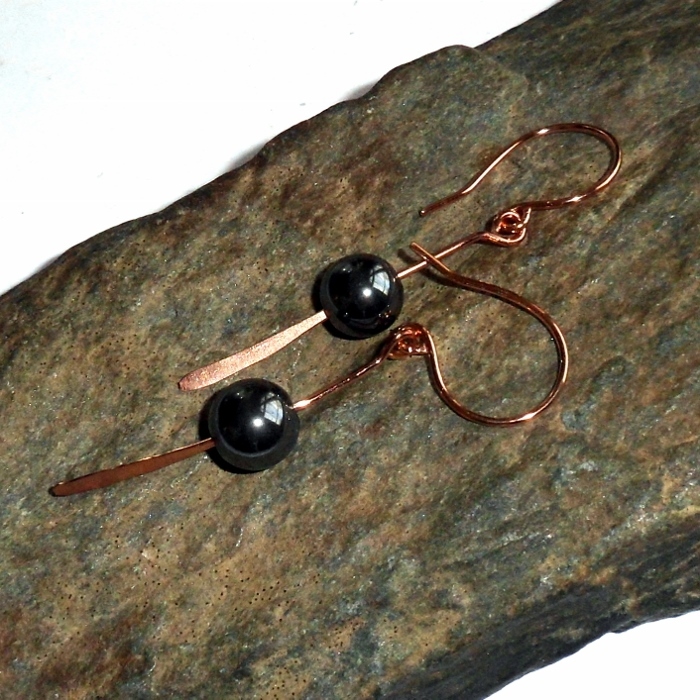 Black hematite gemstones set on copper hammered paddle earrings. 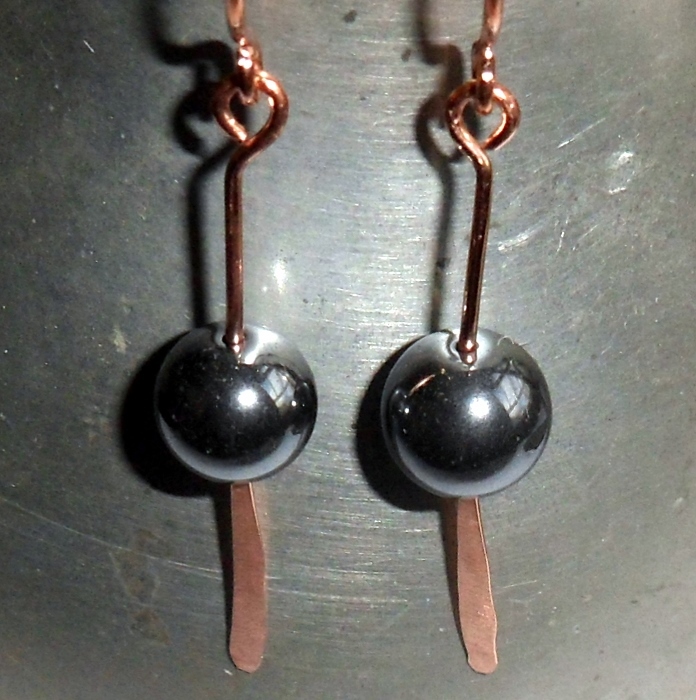 Hematite helps memory enhancement, original thinking and technical knowledge. Hematite reminds you that the only limitations that exist are those that you place upon yourself. It helps to balance out the emotions and energies between the body, mind and spirit. 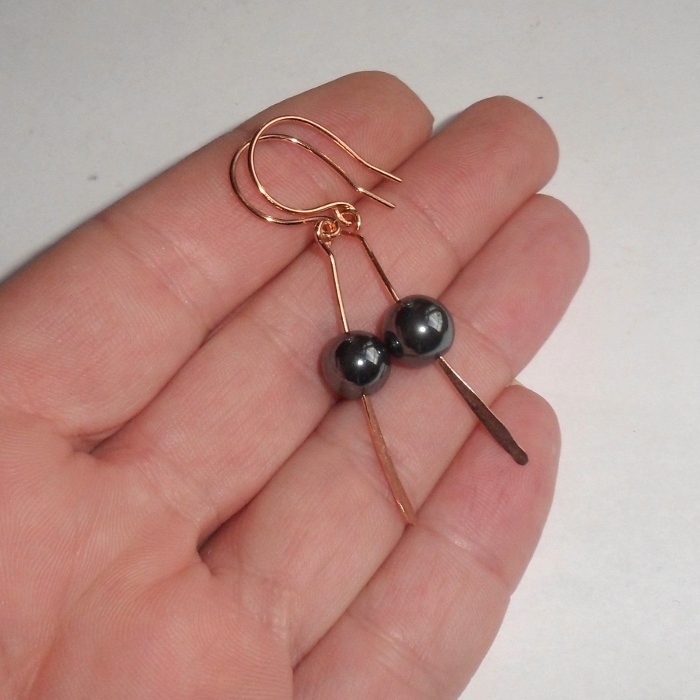 Hematite gemstones are 8 mm rounds. 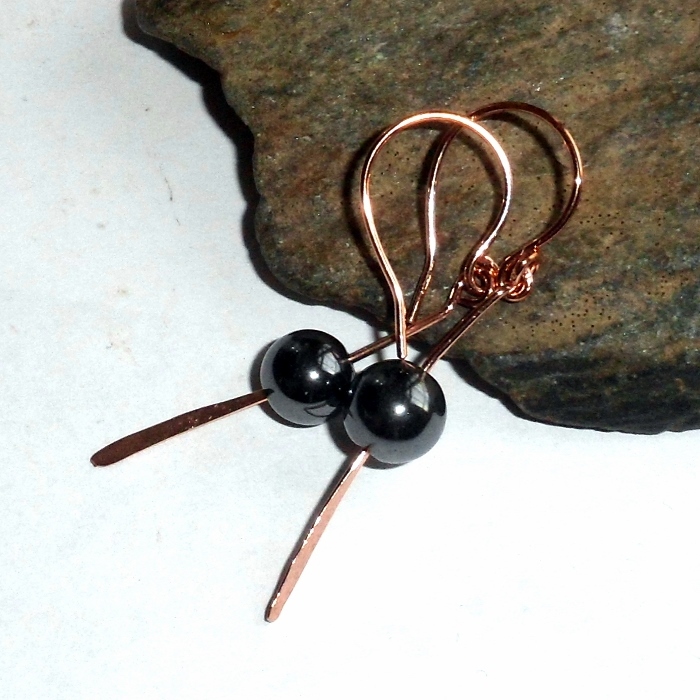 I've made 3 pairs of these earrings and the set range from 1 3/4 inches long to 2 inches long overall. You will receive a perfectly matched set.